Our tick control services will completely eliminate these pests and keep your family safe from disease. If you regularly spend time in the outdoors, then you are probably familiar with ticks. These tiny insects will latch onto any exposed skin and feed on your blood. If that wasn’t gross enough, ticks are also known carriers of many diseases, including Lyme disease. The last thing you want is for ticks to take up residence inside your home, so if you suspect that you or your pet has brought these creepy-crawlies inside, we recommend you call our team at NC Pest Control and set up an appointment for tick control services. Here at NC Pest Control, we tailor our approach to the specific insect being targeted. For tick control, one of the most effective methods is heat treatment. Over time, chemical methods have become less effective because the few ticks that survive each pesticide go on to breed more that are immune to that treatment. However, ticks can’t resist heat treatment, and our technicians make sure to cover every part of the home so that they can’t hide from it either. 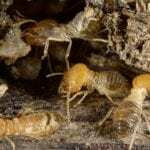 In addition, heat treatment destroys insects at every stage of development, so you won’t have to deal with finding a new generation of ticks hatching from eggs that were left behind. 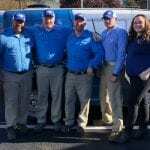 Our team at NC Pest Control is proud to serve the Fuquay-Varina, North Carolina community, and we want to help keep your home comfortable and safe for your family, including your pets. If ticks have entered your home, don’t wait—call our team today to get started with our effective tick control services.